A lot has changed in payroll management over the past few years. Earlier, payroll processing meant manual calculations that was time consuming and lead to data entry errors. Today, organizations use automated system to process payroll accurately and meet statutory compliance. With the access to latest technologies, small to medium-sized businesses can now successfully meet payroll deadlines, save time, without defying local, state or federal tax laws. Do away with paper timecards and timesheets. Adopt an easy and effective approach by keeping payroll records online. Payroll automation saves time, money and efforts besides being a green paperless process. It is not only useful to the employer, but makes it easy for the employees to access previous salary records in just few clicks. It is important that each business adheres to best practices to improve payroll effectiveness and run the business smoothly. Let’s take a look at them. A company with a well-integrated Payroll system, which is compatible with time, leave, attendance, overtime, loans & advances, and travel & expense management tools, is already at an advantage. An integrated software ensures that payroll records remain up to date and prevents duplicate data entries. A highly configurable system also maps to existing payroll processes of a company. Look for an automated system that generates cost accounting reports, wage reports and management dashboards. Configure intuitive reports instantly on total company expenses, travel allowances and bonuses to help leadership and managers in making informed decisions. With the help of analytics, an employer can also get information on employee status’, attrition, statutory costs and more. Take payroll processing online with an automated system that takes minutes, not hours to process payroll. The workflow should be simple, such that the payroll can be processed in just a few clicks. When you switch to an online payroll system, you might support a multi-step payroll processing and a maker-checker functionality. Make sure to implement all the taxation rules for full legal compliance with a payroll management system. An employer can rely on the automated payroll system as it deducts the right taxes and captures employee investment declaration accurately. 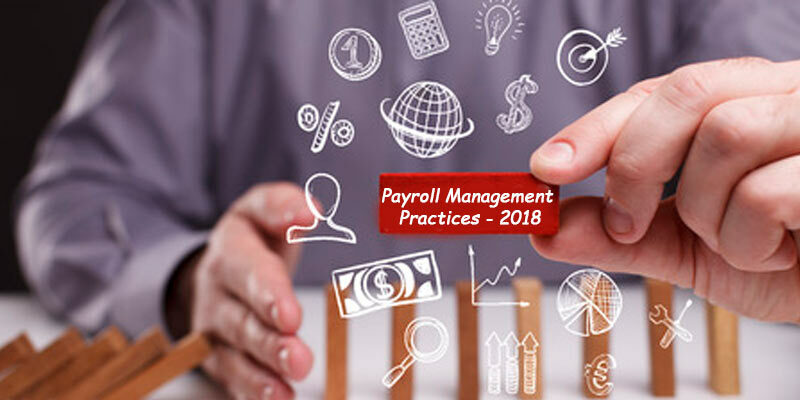 Improve payroll efficiency by keeping these proven payroll management practices in mind and implement them in the right way to gain payroll effectiveness in the coming year.